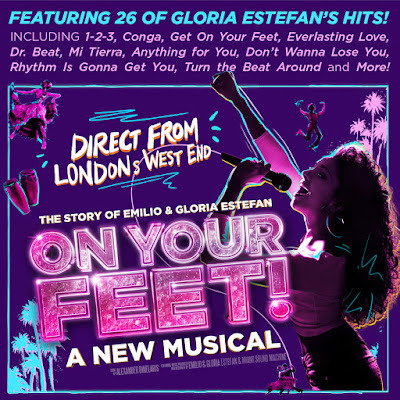 Jamie Wilson and Gavin Kalin are delighted to announce that the hit Broadway musical On Your Feet! 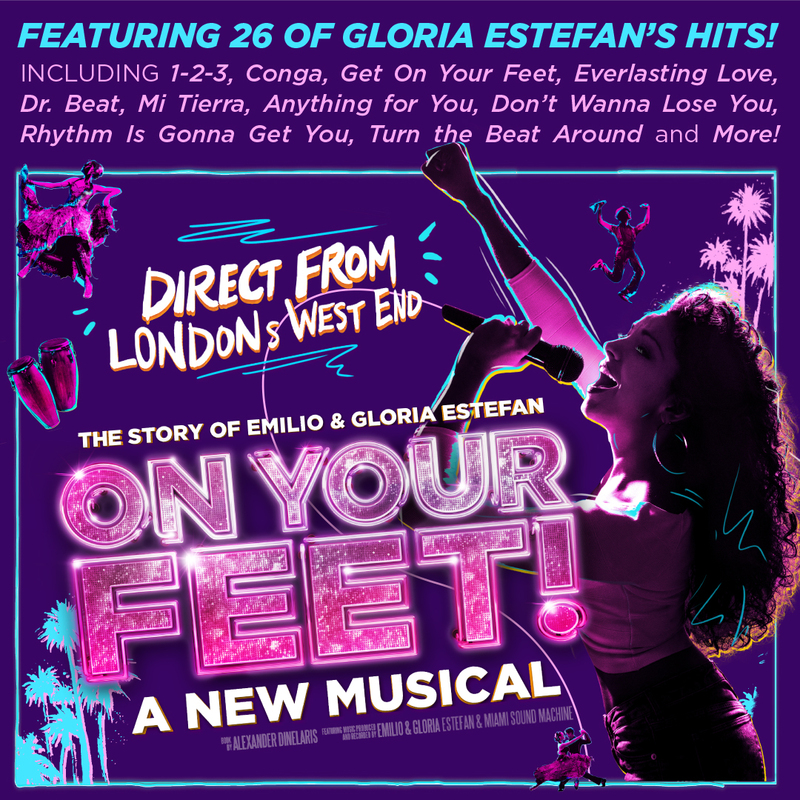 The Story of Emilio and Gloria Estefan, will play Sunderland Empire from Monday 30th September - Saturday 5th October 2019. Tickets are now on sale. Gloria Estefan has sold over 100 million records worldwide and is the most successful Latin crossover performer in the history of pop music. In addition to her 38 number 1 hits across the Billboard charts, Gloria recorded the Oscar-nominated song ‘Music of My Heart’ and has received numerous honours and awards over the course of her illustrious career. Emilio Estefan is a founding member of the pioneering Miami Sound Machine, who created a brand new Latin crossover sound – fusing infectious Cuban rhythms with American pop and disco. Combined, they have won a staggering 26 Grammy awards. The Tony Award® nominated show ran on Broadway for two years, playing for over 750 performances. It is currently on a two year US tour, whilst the production in Holland played to standing ovations and sell out audiences.